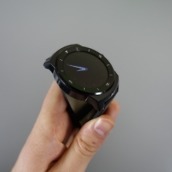 The other round Android Wear smartwatch is now in house at DL HQ. 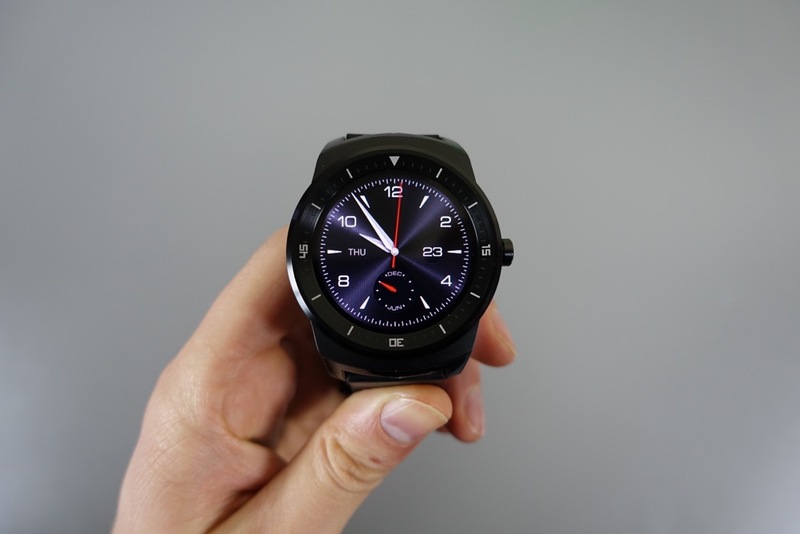 Or as LG would put it – the only fully round smartwatch. 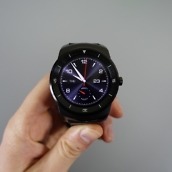 That’s right, the LG G Watch R is here and already on wrist after we filmed a quick unboxing and first impressions video. 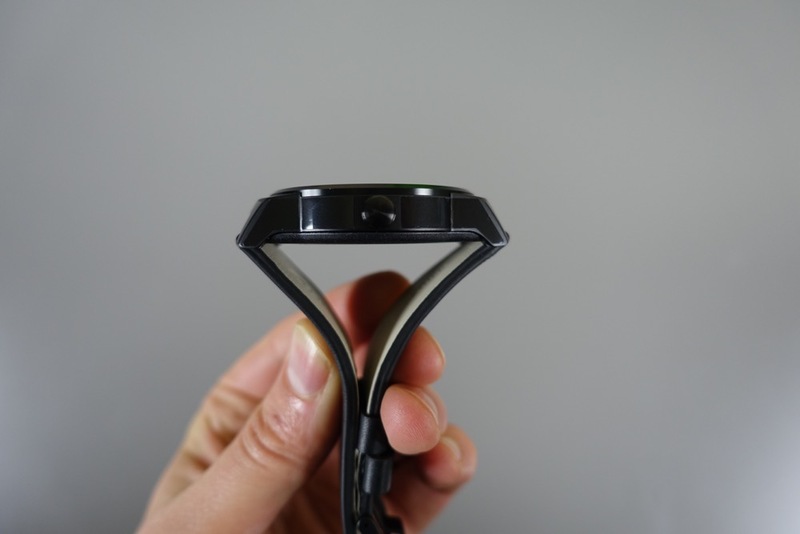 With its use of premium materials and upgraded specs over the original G Watch, LG is aiming at Motorola’s round effort, the Moto 360. 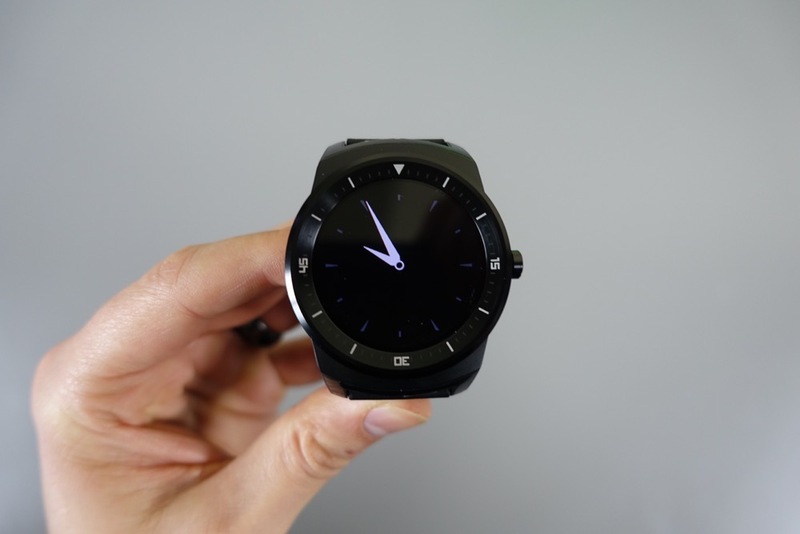 Can it stand up to what we consider to be the best Android Wear watch on the planet? Let’s start to find out. 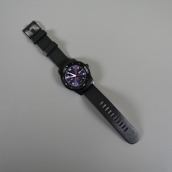 As is noted in the video below, this is the first time that we have had our hands on the G Watch R. The watch was first unveiled at IFA back in early September, but that’s an international event that we typically do not attend and missed out on a first look. 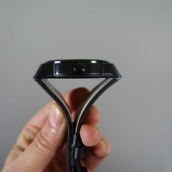 As you can imagine, we having been itching to get this little guy in our possession, so that we can put it through a round of testing, comparisons, and enough use that we can give you all a review before it lands stateside. 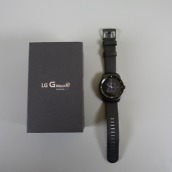 To recap, the G Watch R houses a 1.2GHz Snapdragon 400 processor, 512MB RAM, 4GB internal storage, 1.3-inch Plastic OLED (P-OLED) display (320×320), 410mAh battery, IP67 dust and water resistance, heart rate monitor, and comes in black. 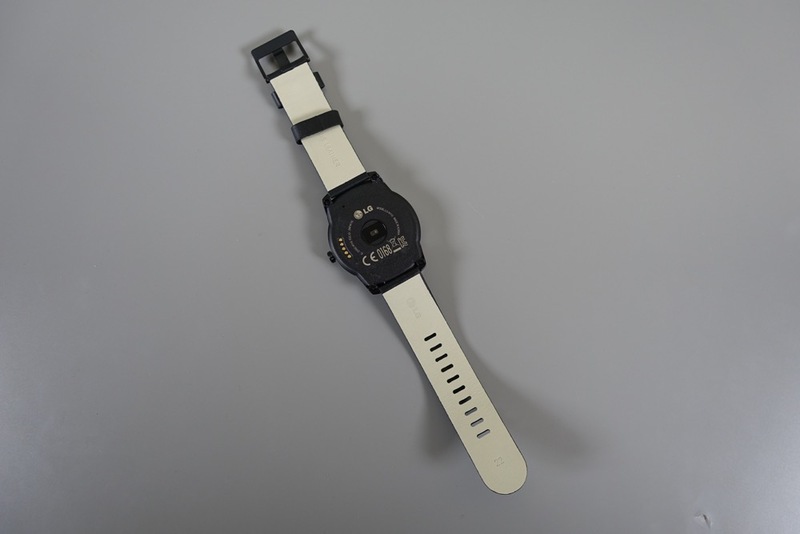 It charges through pins, like the original G Watch, with an included dock. 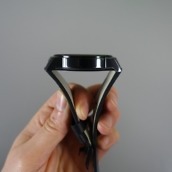 My initial thoughts are that this watch has been finely crafted for the most part. 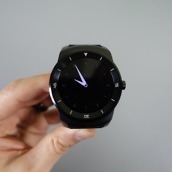 The design, while not a watch design or color I would typically choose, is greatly improved over almost all of the other Android Wear watches. 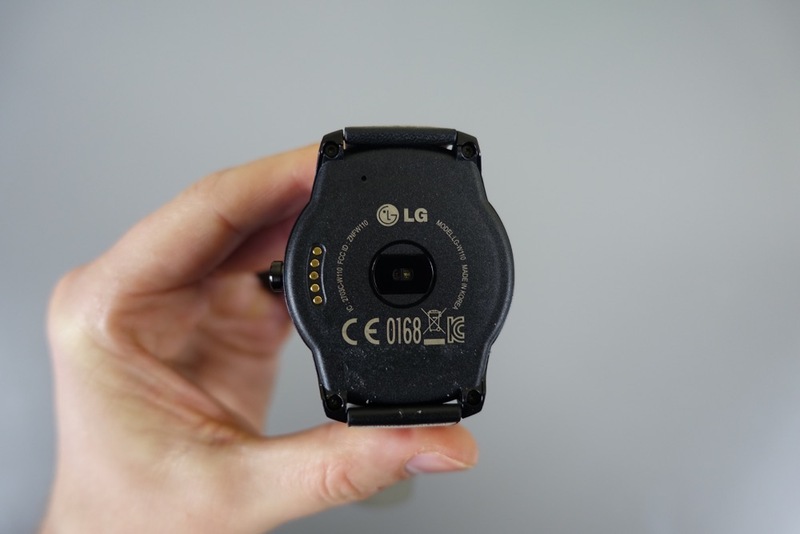 I can’t say that I personally prefer the look over the Moto 360, but there is no denying that LG has built a solid looking watch, that actually looks like a real watch and should appeal to many. 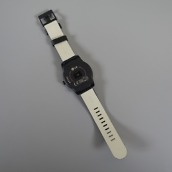 It uses stainless steel to create a sturdy body that looks and feels premium, along with a calf skin leather strap. The calf skin strap feels incredibly cheap out of the box, but I am hopeful that it will soften up and feel better over time. The watch is bigger than I had imagined it would be. 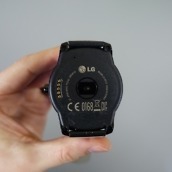 However, I should have expected it since LG included all of that bezel around the round P-OLED display. 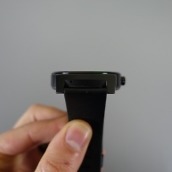 Unlike the Moto 360, the watch strap isn’t attached directly to the round body either. 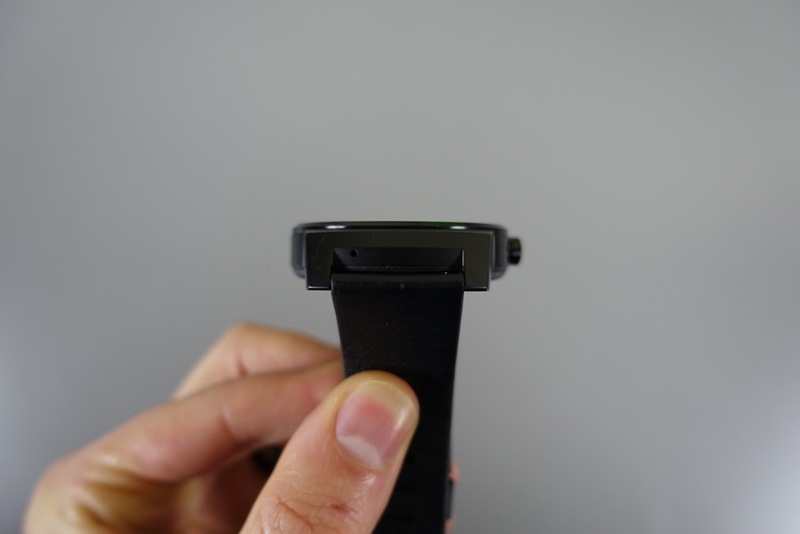 LG has instead extended arms out from the round body as holders of the strap, similar to what you would find with most watches. 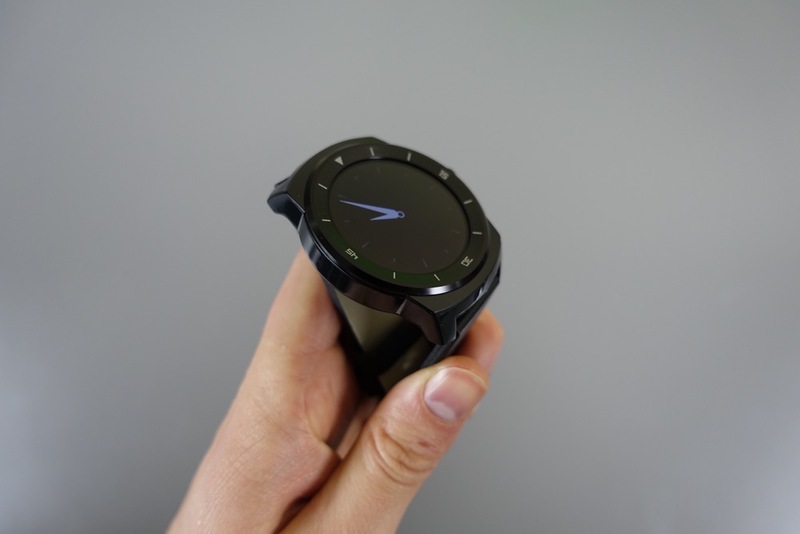 I have yet to dive into performance, but my gut tells me that this watch is going to be really impressive in terms of touch sensitivity, responsiveness, and battery life. 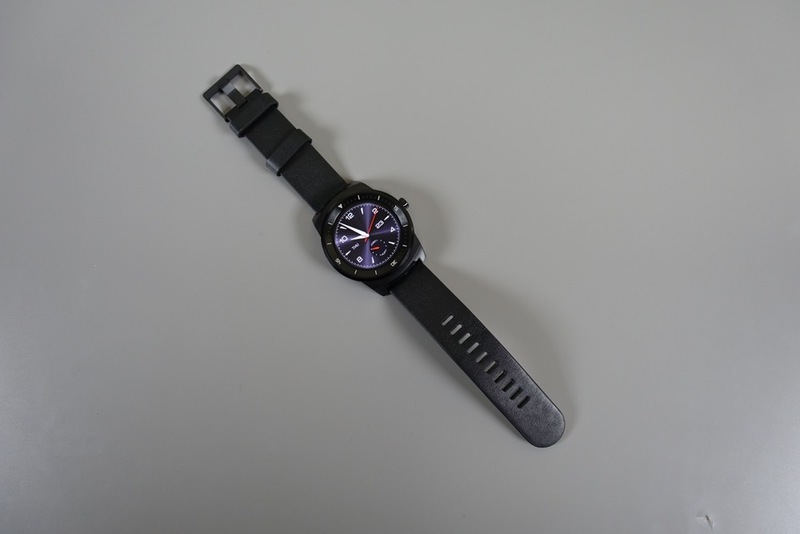 Like the original G Watch, the G Watch R has an always-on display because it is able to sip battery, thanks to the new Snapdragon 400 processor inside. 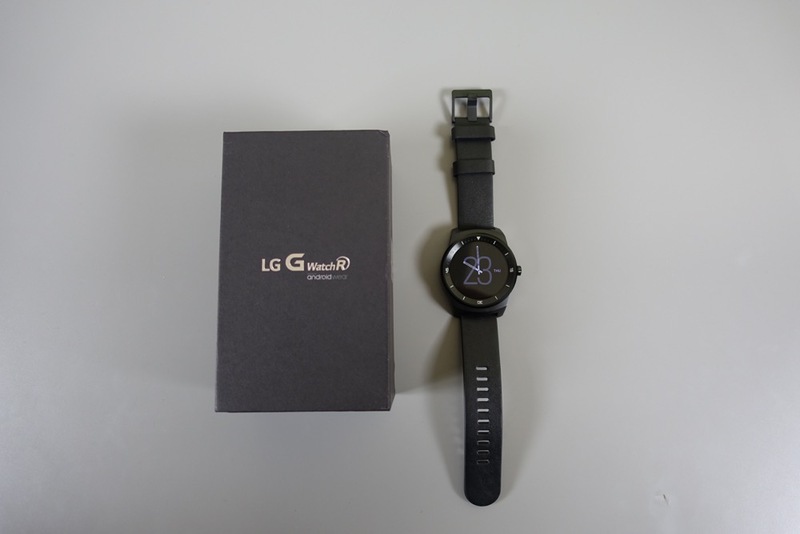 Overall, I am excited to give this watch a spin to see how LG’s take on a premium, round smartwatch stacks up to the Moto 360. 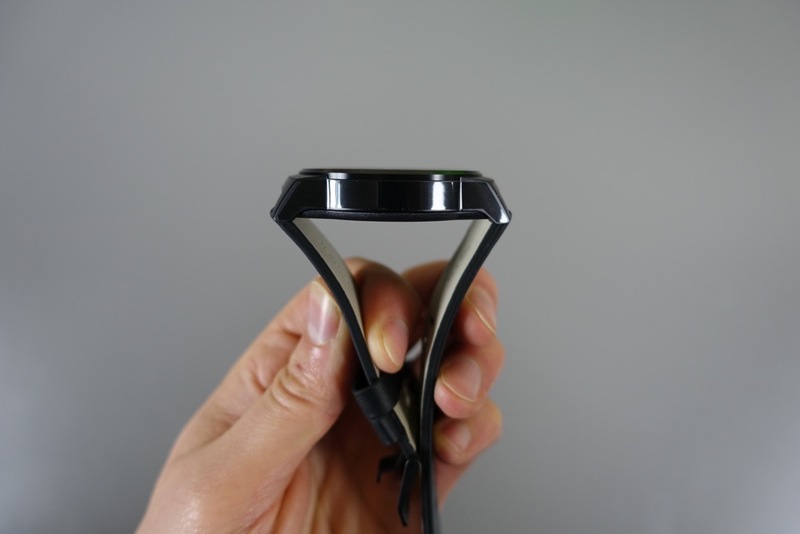 Check out the unboxing and initial impressions video below (quick Moto 360 comparison included), then sound off in the comments.